If you’re an Android fan, then you might be aware of some of the rumors making the rounds on the upcoming Samsung Galaxy S7. I personally don’t like commenting on rumors, but Mobile World Congress is just around the corner and the rumblings regarding Samsung’s next flagship device can no longer be ignored. Here’s a look at some of the latest hearsay on the Samsung Galaxy S7, which will be officially revealed on February 21. The camera in the Galaxy S6 was a huge hit. Here’s to hoping the Galaxy S7 follows in its footsteps. Typically, the best cameras have higher megapixel counts and great low-light performance, but there’s a new trend emerging among mobile devices. Rather than increase the megapixel count, manufacturers are dialing them down and instead increasing the size of the pixels on the sensor. All the better to increase low-light performance, reduce noise, and increase dynamic range. That’s what Samsung apparently plans to do with the Galaxy S7, too. Evan Blass, also known as the notorious @EVLeaks, reported that Samsung’s next device will have a 12-megapixel camera with an aperture of f/1.7 (the Galaxy S6's aperture is a smaller f/1.9). It might sound like a regression going from the Galaxy S6’s 16-megapixels to 12-megapixels, but it’s not. In fact, this particular sensor could offer better low light performance and more detail overall, especially if it’s the same Sony IMX377 sensor that’s inside the Nexus 6P and 5X. The latest rumors state that Samsung will use one of its own sensors with its "britecell" technology. But let’s hope Samsung adds in optical image stabilization, since it’s quite an issue on the Nexuses. There may be another Edge on the horizon. This isn’t even a rumor. Samsung accidentally confirmed on its developer site that there will be a Galaxy S7 Edge, in addition to the regular, flat Galaxy S7—just like last year. Wide Type looks like a weird mix between Live Tiles and Samsung’s older Edge features. Unfortunately, the admission from Samsung is no longer live on the site, but there are screenshots floating around. This one shows that there will be also be a new software feature called Wide Type edge panels, which look like an amalgamation of the Edge’s status updates and Microsoft’s Live Tiles. The feature could end up being interesting and helpful, or it could end up being another little Samsung software gimmick that no one uses. We’ll have to wait and see. Admit it: All you’ve ever wanted out of life was a smartphone battery pack that could last an entire afternoon of running errands. You want to have enough battery life to get you through the day so that you can shoot photos of sunsets, right? Thankfully, there’s an FCC filing for the Galaxy S7 Edge that confirms battery life will not be an issue with its 3600mAh battery pack. It was previously rumored that there’d be two variants, including a 3000mAh battery for the 5.1-inch Galaxy S7, and a 3600mAh battery pack for the Galaxy S7 Edge, which would have a larger 5.5-inch display. We don't know if the rumor on the Galaxy S7 is correct but the FCC filing all but confirms the S7 Edge. Either number is a lot better than the 2550/2600 mAh batteries of the GS6/Edge. American Android users, you’re probably not getting an Exynos processor in your hands this year. According to SamMobile, one of the biggest Samsung fan sites on the web, the company is planning to launch two different versions of its handset for different markets: A Galaxy S7 variant with a Snapdragon 820 in the States (with supposed AnTuTu benchmarks floating aroundby AnTuTu), and an Exynos 8 version overseas. The U.S. version may also include 4GB of RAM and 32GB or 64GB of storage. This is a practice that the company has had in place for years. Samsung typically launches a handset based on its Exynos processor in Asia and other markets, and a Qualcomm-based phone in the U.S. another other Western markets. It didn’t do this last year, though, in part because Samsung's Exynos chip was produced on a more power-efficient 14nm process. Now, what about that SD card? 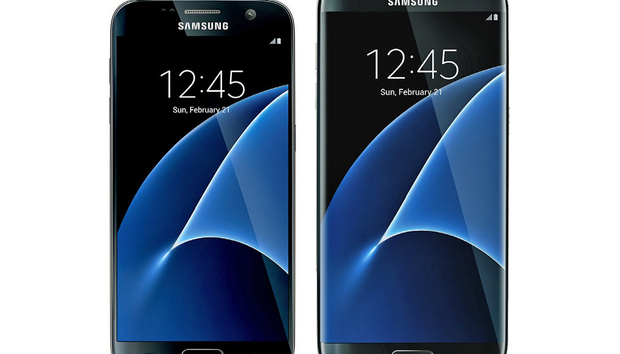 The Galaxy S7 will hopefully get its expansion slot back. Last year’s Galaxy S6 would have been perfect if it would have just accepted a little extra storage. But Samsung omitted the expansion slot, likely because it just wasn’t conducive to the phone’s sleek, metal design. This year, the Galaxy S7 is expected to launch with a microSD slot that can take up to 200GB of extra storage, though that’s as far as the excitement goes. There still won’t be a removable battery. When do we find all this out? Come back here on February 21 and watch live as Samsung reveals its next lineup of Android smartphones. Should you agree to Apple's terms and conditions?